Cranberries are the under-appreciated fruit of fall and winter. They’re often relegated to a sad cylinder of canned cranberry sauce at the edge of the Thanksgiving table, an afterthought to the apples and pumpkins taking up the dessert space. Which is a shame, because when strategically deployed, cranberry desserts not only bring a welcome burst of color, they bring a lovely puckery acidity to punctuate a big meal. This cranberry curd tart is the cold-weather dessert you didn’t know you needed. 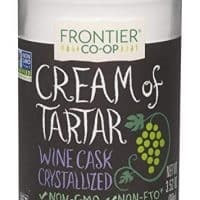 The curd itself is a deep-red garnet color, with a silky smooth texture and the tart cranberry flavor gets rounded out with vanilla and orange (and not a small amount of butter and sugar and eggs). It sits on a super-easy press-in shortbread crust that doesn’t need any resting time, making this even easier than most pies. 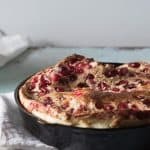 This cranberry curd tart uses a press-in shortbread crust inspired by one Alice Medrich uses in everything. This one has a bit of orange zest and powdered sugar to keep it tender. 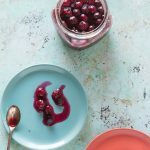 The cranberry curd itself is a riff on one I've been making for years that's rounded out with a generous splash of vanilla, some freshly squeezed orange juice from the orange you just zested, and an optional splash of any orange liqueur you like (but don't bother going out to buy Grand Marnier or Dry Curacao just for this). The tart crust can be made and baked up to two days ahead, and the curd can be cooked and chilled up to a week in advance, you can then assemble and bake the tart on the day (or day before) you want to eat it. 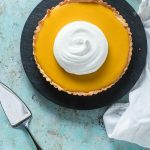 The meringue is totally optional, but because the tart leaves you with extra egg whites from the curd, it's easy to go that extra step and add the meringue. 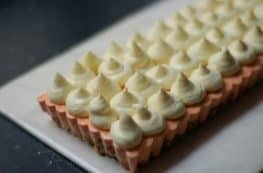 The amount of meringue isn't as much what you would typically do for a towering lemon meringue pie, but it's plenty for piping decoratively on the top (and enough to cover the whole top with dots like you see pictured if you wanted to do that). You'll need a 9-inch tart pan with a removable bottom for this recipe. Preheat oven to 350°F. Add the flour, powdered sugar, and salt to a small bowl and whisk together. Melt the butter in a small saucepan (or in the microwave), add the vanilla extract and orange zest to the butter and stir, then pour into the dry ingredients and stir together until thoroughly moistened. 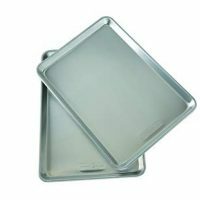 Press the dough evenly along the bottom and sides into a 9-inch tart pan with a removable bottom. Place the tart pan on a baking sheet and bake until the crust is golden brown, about 20 minutes. Heat the cranberries and orange juice in a medium saucepan over medium-high heat until the cranberries split. Strain through a food mill or fine mesh sieve and discard the skins. Return the strained cranberry mixture to the saucepan and add the sugar, eggs, egg yolks, butter, vanilla, and orange liqueur (if using) to the pan and give everything a good stir. Heat gently over medium-low heat, stirring constantly, until the mixture thickens and registers 170°F on an instant read thermometer (this usually takes about 8-9 minutes). Immediately strain through a fine mesh sieve into a bowl (ideally with a pouring spout) and then pour into the prepared crust. Bake (still at 350°F) until the curd is set (it should jiggle but not slosh), about 10 minutes. Let cool at room temperature for about 1 hour, then transfer to the refrigerator to chill. 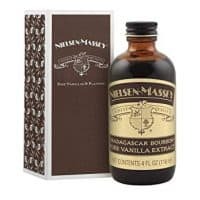 You can serve this chilled or at room temperature. Add egg whites and cream of tartar to the bowl of a stand mixer fitted with a whisk attachment. Heat sugar and water in a small saucepan over medium high heat. When the sugar mixture registers about 220°F turn on the mixer and begin beating the egg whites on medium speed. When the sugar mixture registers 240°F remove from heat and carefully pour into the mixer over the egg whites. Increase the mixer speed to high and beat until the egg whites form stiff peaks. Transfer to a piping bag (or zip top bag) and pipe onto cooled tart as desired. If you want, torch the meringue with a kitchen torch. (But since it is cooked, this is totally optional). Tart is best on the day it is made, but keeps well, refrigerated, for up to two days. This is such a gorgeous tart! A total show stopper! This seems like a wonderful dessert! I totally agree that cranberries are completely underrated and should be the star dessert the whole winter season! Glad to have another cranberry fan around! This tart would be a stunning centerpiece for any holiday meal. So pretty and I’m sure it tastes wonderful too! I have never heard of this wonderful dessert, but it looks amazing. I will definitely give this recipe a try.